So I had a pretty good and very relaxing weekend. Score! I see much more of those for the next few weeks (while we still can). On Friday we got take-out from Col'Cacchio and watched series (woo, new Walking Dead!). On Saturday morning, we were pretty lazy since we didn't have anything specific planned for the day and we were both pretty enthralled in our books. Eventually we got out of bed and headed to breakfast at Urban Angel. 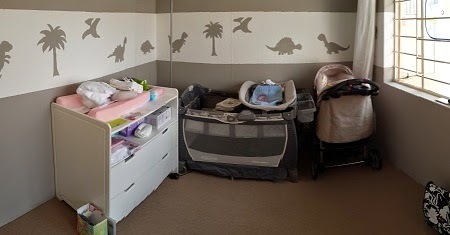 And then it was home to get started on the only thing we had planned for the day: The Nursery! So yes, The Trucker got the big stuff done while I was in Cape Town last weekend. But this weekend was all about putting together her cot and pram and unpacking / packing away her things. It is so awesome now. I love having her door open and seeing her room as I walk up the passage. I love going in, in the mornings and evenings to open and close her curtains. It definitely feels like she is "here" a little bit more, if that makes sense? We also had a ton of stuff to sort thru which was temporarily moved to the guest room. I think we made amazing progress this weekend. The Trucker did tons more sorting than I did ... I went thru all my Fresh Living magazines, which I'd been collecting since the end of 2008 ... and tore out the recipes that I liked and we've recycled the rest. With everything online these days, keeping magazines seems a little crazy. Now we have an awesome recipe flip-file which is so much easier to keep handy in the kitchen. We still need to sort thru the stuff that got moved to the garage. With the impending move to Cape Town, we're being a lot more cut throat about what we're keeping (hopefully). On Saturday afternoon we were very lazy and napped and read our books. This heat! Thank goodness for that blow up pool of ours ;) It stays pretty chilly too cause it is completely out of the sun. 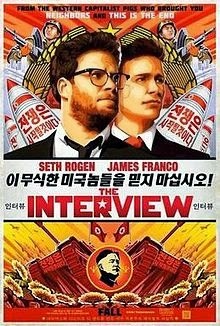 Afterwards we watched The Interview. I didn't make it to the end. What a pile of crap. The Trucker came home and we had a delish leftover braai lunch :) And then he mostly napped for the afternoon. In the evening we continued with The Big Sort.